Photo by: Antonio J. Sanchez, via Free Images. Albany, NY - July 9, 2015 - The New York State Police and New York State Parks Police announced today the start of the 2015 Buckle Up New York in the Parks, or BUNY in the Parks, encouraging State Park visitors to buckle up for safety. State Police and Park Police are partnering up in this enforcement and educational campaign to encourage visiting motorists and passengers to properly buckle-up their seatbelts, and teach the importance of properly securing State Parks’ youngest visitors in approved child safety seats. The enforcement period kicks off on July 11 and runs through July 26, 2015. Despite the overall success of the recent “Click it or Ticket” and “Buckle Up New York” campaigns, non-compliant motorists still exist. The State Police and Park Police have noticed a disturbing trend of lower seatbelt and child restraint use in proximity to state parks located outside large urban areas. The partnership’s goal is to increase compliance and raise awareness among Parks’ visitors. Increasing seatbelt use is one of the most effective ways to reduce crash related injuries and fatalities. Since New York State became the first state in the nation to enact a primary seatbelt law, effective January 1, 1985, countless lives have been saved. 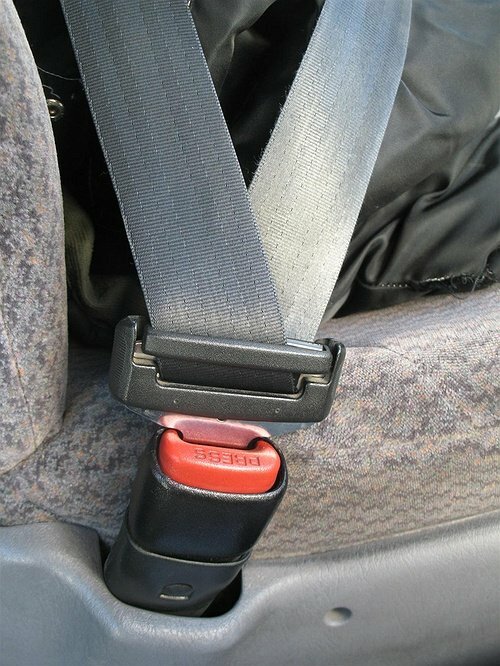 The seatbelt compliance rate has steadily increased, reaching more than 90 percent in 2014. However, motor vehicle crashes are the leading cause of death for children ages one through 13. Based on U.S. Department of Transportation and National Highway Transportation Safety Administration (NHTSA) crash data in 2011, on average, nearly two children (age 13 and younger in a passenger vehicle) were killed and 338 were injured each day. This fatality rate could be reduced by about half if correct child safety seats are always used. "Summer is a time for parents, kids and families to enjoy state parks throughout New York. All too often visitors to these beautiful facilities arrive unbelted or have young children in the back of a vehicle without any child restraint seat to safeguard them during travel," said Terri Egan, Department of Motor Vehicles Deputy Commissioner. "This campaign is about keeping children and adults safe. It is simple- ensure children are properly secured in an appropriate child safety seat before you leave home and buckle up every trip, every time day or night." This year, the National Park Service Law Enforcement Division will participate in this campaign. Joint details will be conducted with the State Police and State Park Police in the Long Island Region and Hudson Valley. During the 2014 BUNY in the Parks campaign, State Police and State Parks Police issued nearly 3,000 tickets. More than 1,600 of those tickets were for improper child restraints and more than 540 for adult seat belt violations. In the front seat, the driver and each passenger must wear a seat belt, one person per belt. The driver and front-seat passengers aged 16 or older can be fined up to $50 each for failure to buckle up. The driver must make sure that each passenger under age 16 obeys the law. The driver can be fined $25 to $100 and receive up to three driver license penalty points for each violation. Subject: LongIsland.com - Your Name sent you Article details of "State Police, Parks Police Join Together to Protect Our Youngest New Yorkers"